Sofya is from Novomoskovsk, Russia. She was a finalist for Russia at JESC 2013 and also competed in the first season of Russia's "The Voice Children" in 2014. Do you recognize the little girl in this video? Yes, it is our little Maria from The Voice Kids Russia 2016. Those Russian girl singers are such a tight group. There is probably thousands of miles that separate the towns they live in. It's kinda like the "Cups Girl" that is everywhere. We know that Maria and Sofya have the same singing teacher. It would be interesting to know if Yana does as well. That video is from a charity concert "Children Help Children" held at Novomoskovsk last year. This is another vid with just Yana and Sofya. A new song from Sofya. It was shot in her home town, Novomoskovsk. 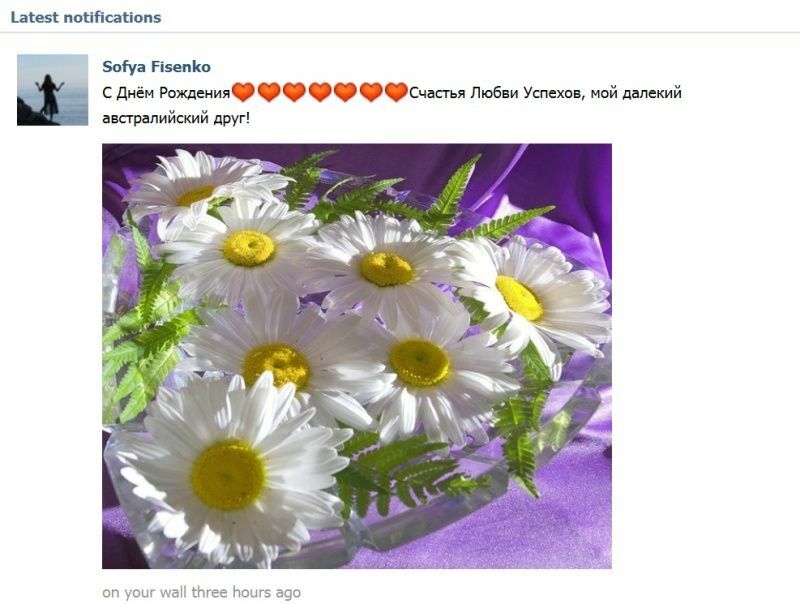 bruce 34 wrote: A new song from Sofya. It was shot in her home town, Novomoskovsk. Sofia's song "May Waltz" from the Victory Day concert on May 9. Another from the same concert. Katya, Maria, Yasya and Sofia are all members of the Academy Igor Krutoy. bruce 34 wrote: Katya, Maria, Yasya and Sofia are all members of the Academy Igor Krutoy. I didn't know that, Bruce! And thanks for posting the videos for the others who were at the Victory Day concert! I didn't realize any other artists from the forum were at that concert, I just happened to see Katya's video on her VK page. I always check out the posts for all of the artists here even though there are certain ones I follow more closely than others. Of course it is hard to keep up with everyone, and since some of the main ones I follow have had a flurry of activity lately, it is easy to forget about checking up on some of the others. Actually, Garth, the other videos showed up on the right hand side of the page when I was watching Katya's video. I do agree with what you said about keeping up with everyone, I probably follow five or six closely and then rely on other people to keep me up to date with other artists. One of my favourite songs Sofya sings. Here is a new video published this morning----- It has got to take at least 3 hours for her to dry her hair after she washes it! It's my birthday today. I don't celebrate it because I've had a lot of them in the past and I'm over it. I do have it on my VK page though and obviously I wouldn't expect anyone from there to acknowledge it. So it was a surprise to get this notification today seeing she has around 10,000 friends (the maximum you can have on VK). bruce 34 wrote: It's my birthday today. I don't celebrate it because I've had a lot of them in the past and I'm over it. I do have it on my VK page though and obviously I wouldn't expect anyone from there to acknowledge it. So it was a surprise to get this notification today seeing she has around 10,000 friends (the maximum you can have on VK). From Google translate ....... Happy Rozhdeniya❤❤❤❤❤❤❤Schastya Love Good luck, my Australian friend far! I'm assuming it is a good message haha. It does seem like it. bruce 34 wrote: Thanks, Garth. From Google translate ....... Happy Rozhdeniya Schastya Love Good luck, my Australian friend far!